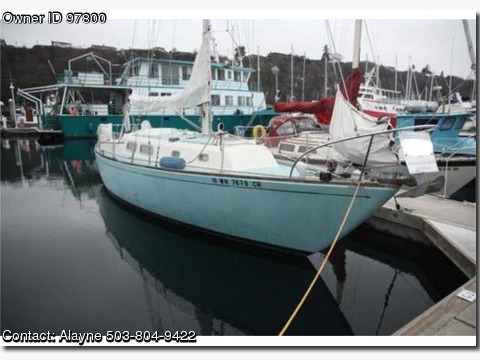 Please contact boat owner Alayne at 503-804-9422. She has all new AC DC wiring, new diesel furnace, new refrigerator motor, AM/FM, 2 anchors, bilge pump, Coast Guard pack, compass, dockside power, full gauges, GPS, Head, shower, H&amp;C water, teak flooring &amp; throw rugs, 2 spinnakers, Galley, stove, TV, storage, VHF, sleeps 5, prof. maintained, slip available, mast ladder, single handed sailing. She is in excellent condition and ready to sail. Comes with a Dingy, a Dodger, Dock box, and many extras.